Are you the Beer Drinker of the Year ? If so, send your resume to beerdrinker@wynkoop.com detailing the key aspects of your beer expertise, including your accomplishments involving brewpubs, beer festivals and beer adventures. A good beer resume demonstrates the range and depth of the candidates beeriness. As it is a national search and Wynkoop Brewery is in Colorado, USA, I guess that we Brits are precluded but it is a nice idea to promote their brand. The prize ? Free beer for life at the Wynkoop Brewing Company. Not bad ! I was told that my London accent would go down a storm in USA. However, in reality all I got was "you sound like the Geiko Gecko". Check him out. I have in the past defended CAMRA against accusations of being parochial. This is why we are led by 200 or so local branches. It works and gives excellent local campaigning, the life blood of CAMRA and one of the reasons we reach so many beer drinkers around the country. However, have the latest comments from Cornwall CAMRA crossed a line ? Hogs Back Brewery from Surrey have just won Supreme Champion Beer at Falmouth Beer Festival for their Hop Garden Gold. CAMRA Cornwall's spokesman, Phil Roberts, said "... This year's top spot went to a foreigner....."
I have met Phil many times and know that this is meant in jest but it is easy to see how people might sometimes catch on to throw away lines and make more of it than was originally the intention. Hogs Back Brewery later quoted "Its strange being called a Foreigner by the Cornish but its a sheer delight bringing back the cherished trophy to Surrey, its like winning the Ashes from the Aussies." I say, if we dig a trench along the Cornish border, we could just kick them off into the Ocean. Oops there's another throw away line. While I do not intend to make this blog a listings site - there are plenty better places than this to help seek out good beer - I will list those events that I think are worthy of wider coverage and support. The Willoughby Arms is a community pub situated in housing about a 10 minute walk from Kingston station. I have seen the pub described on beer in the evening . com as "I wish it was my local". I absolutely concur. The choice and quality of the beer is consistently good and the atmosphere and welcome always very friendly. A small beer festival is hosted around St Georges Day and Halloween and I shall be visiting at least twice this week. The ale trail cards which bring cheaper beer and a free T shirt enforce drinking 11 pints for around £30. A stretch for me in one session even with a take-away. Two sessions is much more sensible and enjoyable. Alas it will mean missing the Shepherd Neame AGM on Friday which is always another good jolly but sometimes sacrifices must be made ! There is no beer list yet on their web-site but I expect that the selection will be as good as ever with many local breweries represented (via the SIBA DDS scheme) and a couple of "specials". The Downton, Chocolate Orange Delight last year was memorable, I hope it makes another appearance. 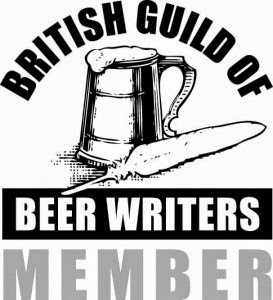 As the 2009 Good Beer Guide has just been published, CAMRA branches will turn their attention to selecting the pubs to be included in the 2010 guide over the coming months. Many will have used the National Beer Scoring Scheme to monitor their pubs throughout the year. This allows any CAMRA member to rate any pubs they visit and give a score 0 - 5 for beer quality. It is a simple system that takes a minute to complete and relies on as many responses as possible to make the data useful. A month or so ago, someone asked me why a particular pub was not in the guide for 2009. The pub was not in London so I sent carrier pigeon to the frozen north to see if there was a sensible answer. Great pity with the pub was the variability in beer quality throughout 2007. It received nearly 300 tastings through the branch and NBSS of which there were some scores of 4, many 2's and a significant number of scores of 1 (across the board of local members and NBSS). Even geographically we couldn't say it was the best for beer in that village (coming well behind two others). With 19 pubs to allocate to the guide this pub came about 30th in tastings. Pleasing to note however, are the tastings I have received seem to have improved in 2008 but then so have the other two plus another pub in the village is now receiving good scores as well so entry for GBG2010 should be interesting. A most satisfactory response and one that demonstrates that the great benefit of NBSS is that it does give a flavour of a pub throughout the year. Of course there are negatives to any such system but branches are advised to use NBSS as a guide when making their selections. That reminds me, I must get better at including my own pub visits. Significantly my first score of 5 this year for a pint of Hop Back GFB in The Sultan in Wimbledon. Leading trade magazine The Publican is calling for a minimum price on alcohol to bring an end to irresponsible bargain booze deals. Legislation is the only way to bring an end to these, often loss-leading, offers which are damaging to both society and the great British pub. We the undersigned petition the Prime Minister to Back The Publican's Make it the Minimum campaign and introduce a minimum price of 50p for every unit of alcohol sold. This will end cheap booze promotions in supermarkets and bring off-trade prices closer to the cost of alcohol in the pub - the home of responsible drinking. Although I have been known to describe cider as "The Devil's Urine" and have been seen running for a sit down after a pint of perry, it is now an opportune time to remind everyone that London's cider pub of the year is The Harp, Chandos Place, London WC2. The evening of Wednesday 29th will see the presentation of the award. It is also CAMRA West London branch pub of the year for 2008/09 and that certificate will also be presented on the evening. It should make for an enjoyable evening. October is CAMRA's cider month. I found this from Canada which may demonstrate that I was right all along ! The SPBW have announced that their pub of the year for 2008 is the Dog and Bell in Deptford. In a close vote, it just pipped the The Sultan, The Bricklayers, The Royal Oak, The Bree Louise and The Pembury. When checking the website, I found another SPBW here. The Society for the Protection of British Woodlands whose mission is the promotion of outdoor activities within British woodlands whilst protecting and preserving them from misuses and abuse. I was just asked to make a radio comment on the story that two thirds of a pint had been suggested as a pub measure. Luckily I am busy at Twickenham Beer Festival. London's radio listeners have been saved from offensive language. Fuller, Smith & Turner P.L.C., London’s only remaining traditional family brewer, is delighted to announce the release of its new bottled ale, Brewer’s Reserve. 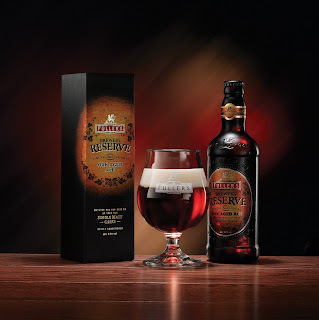 Brewer’s Reserve is the culmination of more than four year’s work by Fuller’s head brewer, John Keeling, which began following a joint tasting session with some colleagues in the whisky trade. With his appreciation of the qualities of both beer and whisky, John decided that he wanted to create a new strong beer, incorporating some of the characteristics of a single malt. The result is a remarkable, 7.7% ABV, limited edition ale, matured in 30 year old whisky casks for over 500 days which has taken on some characteristics of the whisky absorbed in the wood. This Brewer’s Reserve is number one in a special series and with Fuller’s reputation for excellence I’m sure it will quickly become collectible. Each of the 25,000 bottles is individually numbered and comes in a fantastic looking presentation box, which highlights the beer’s quality and sophistication. More on this to follow once I have found some and tried it. Bateman's Brewery are on their way back in London. After a few years focusing on their own pubs and traditional areas of support around the brewery, they are now having a concerted effort at new trade in the London area. No tickets required, just turn up. Regional family breweries have been successful in the London area in the last year or two, notably Timothy Taylor and St Austell. Bateman's beers are generally good and deserve wider availability. I hope to make it to one of the above events to reacqauint myself with their range. Those good people at Nils Oscar were recently kind enough to send me a couple of bottles of beer for review. Well, really it was their PR company, C Coms PR, who sent it but I was grateful all the same. The Nils Oscar, God Lager is being given a real push in this country and has a recent listing in Waitrose at £1.49 for a 33ml bottle and the plan is to get a wider spread in bars and restaurants. It is unpasteurised and is 5.3% abv. Described in the attached blurb as a dark lager I was expecting a dunkels rather than a helles. However this is a pilsner style lager, darker in colour than a helles but more akin to a Budvar, a rich golden colour. The beer is craft brewed on a farm just outside Stockholm where the grain is grown and malted. The 4 hop varieties are imported as Sweden is too far north to cultivate them. The beer pours well with a light head which faded quickly, a clear appearance and good carbonation. The aroma is clean with malt rather than hop on the nose. Some citrus and peppery notes came through as it warmed. I chilled it almost to death as I thought that was best for the style and the flavour lost out somewhat until it warmed slightly. It gives a good malty sweetness with a very dry finish. The light body was good for a Euro style lager and compares well to Czech and German versions. Much better than anything else I have tasted from Sweden and probably very refreshing on a hot day. This would never be my first choice of beer to drink at home but I am grateful to have been given the chance to try it. It is a worthy addition to a growing number of good foreign brewed beers that are now available and I enjoyed it very much. However as a wise old man of the brewing industry once said to me "the best beer is always a free beer". Nils Oscar brews a range of 10 beers (and distills vodka and aquavit). I will certainly try any others I see. Twickenham Beer Festival takes place this week. Opening times are 5.30 on Thursday to 10.30 on Saturday. Full details together with beer list etc are here. This is my local branch beer festival and although I have nothing to do with its organisation throughout the year, I give it my full support for the whole week. It is the one week a year when I hump scaffolding, full and empty casks, put up posters, clean tables, meet and greet all of the customers and generally support the vital grass roots of our Campaign in a tangible way. I have just been told that I am "head of security" for the week so no bad behaviour please. Friday saw the CAMRA presentation to Leyton Orient Supporters Club as CAMRA National Club of the Year for 2008. I couldn't have put it better myself. Apart from occasional beer festivals the club has five handpumps primed for a usual matchday offering Orient fans over 700 pints of craft brewed beers at £2.30 a pint to drown their usual sorrows. My favourite quote which has been worked to death is that if only their football team was as good as their bar, Leyton Orient would be Premier League ! This presentation coincided with a mini beer festival which although there were only about 20 beers they were all what you might call "rare". A tickers delight. An enjoyable end to a busy week. On Thursday I visited the Royal Oak in Friday Street near Rusper, West Sussex. A drive of about an hour, and fairly inaccessible by train, so I persuaded my wife to drive on the promise of lunch. She and I were not disappointed. The main bar is narrow with stools at the bar and separate rooms at either end. The room we sat in has a real fire that was much welcome on a cool October day. We were welcomed not only by very friendly staff but also by a bank of 8 handpumps - displaying a range of beers from local micros - Surrey Hills, Dark Star and Twickenham beers were all very enjoyable. There is a mild available permanently, Surrey Hills Hammer Mild, and a bank of 5 further handpumps for ciders and perries. This was the only pub of the four in the regional semi-final that had a significant food offering. A basic menu of omelette's, ham and chips etc complemented by 3 daily specials - fish pie, partridge and chilli all at a reasonable £7.50. I enjoyed the partridge (notably not including lead shot) and my wife had a very large fish pie both of which were excellent, although none of CAMRA judging criteria include the scoring of food. All together this is a real gem of a pub and deserves to do well. I have not cast my scores for all four pubs yet but I guess this will be my winner by a point or two with the Butchers Arms a very close second. On Wednesday I visited the third out of four regional pubs of the year, The Butchers Arms in Herne, Kent. Jet lagged, I overslept and was chasing the lunchtime session so forgot camera and alas no photos. The pub is only open from 12 to 1.30 (and 5 to 9) so I was in trouble if I missed it. Train from Waterloo, change at Sturry for a 10 minute bus ride to Herne. Described as a micro pub, it was converted from a florists in 2005 and was previously a butchers shop. It has one room at the front, which seats about 12 people. It can only hold 18 people comfortably, though the record is 33. It is decorated with much brewery paraphanalia but also has various decor according to its past life as a butcher; 2 of the tables are old butchers blocks. It is beer only though if you really want something else there is white wine or lemonade. The beer is served straight from the cask from a cooled room at the back. The toilet is reached via the "cellar". Dark Star Hop Head, Harveys Sussex, Fullers HSB and ESB are all served in top form from £2.25 to £2.99 a pint. It is the custom that you pay on leaving. The "NFL" etched in the front window stands for No Lager. In a way it would be shame for this pub to go further in the competition as there is not really room for too many more visitors that more publicity would bring. It is a local secret and would probably benefit from staying that way. That said, I absolutely would recommend anyone visit this pub. It has a unique place in England's pub culture. Rumours of my demise are greatly exaggerated, I have not been hiding under a stone for the last 10 days but have been in Denver helping with the judging of the Great American Beer Festival. I intend to cover the week in more depth in the coming days but start with a quick snapshot. The competition takes place over five sessions of three hours each in the three days before the festival opens. There are 75 categories to be judged - yes 75 ! 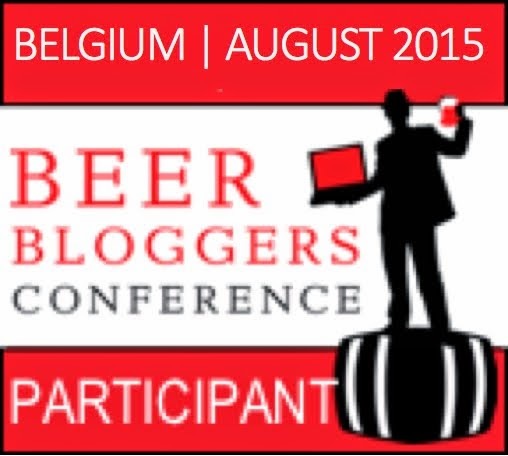 472 US brewers entered 2,902 beers which were judged by 127 judges from 11 countries. The UK judges based judges were myself, Glenn Payne, Mark Dorber and Don Burgess of Freeminer Brewery. The festival itself runs for four sessions of four hours over three days. The entry price is about $50 and beer is poured in free, one ounce servings - giving the greatest opportunity to try as many of the 2,052 beers available as possible. 46,000 people visit the festival which relies on 2,600 volunteer staff to pour the beer. Normal service will be resumed "au matin" or should that be "au gratin" ? The Trafalgar was heaving last night for the presentation of the Pub of the Year award. For such a tiny pub, you would never believe that so many people could be crammed in at once. Mainly people from the local community but good representation from SW London CAMRA and a sprinkling of other members. We were graced with the presence of a full set of dignitaries : Martin Whelton,the mayor of Merton; Robert Evans, the MEP for West London; and Stephen Hammond, the MP for Wimbledon. There is clearly a pecking order with politicians. They arrived in that order, they spoke in that order and they left in that order. The mayor tried to show his strength by holding out (and upsetting his driver) but the other two would not budge. Once he had given in and been driven away, the MEP decided he knew his place and drove home. The MP, knowing he was all-powerful, then left shortly afterwards. (Well he might be all-powerful if he was not in opposition). The beer was good - but still not a patch on the couple of pints of GFB I had in the Sultan beforehand. The Sultan beer festival is on this weekend. It was the best of times ? If you think things are bad right now with pubs closing, the smoking ban, price inflation, duty increases, blah blah .....then maybe reflect on the quote below. "Having consigned the manual beer engine and 'from the wood' to history, we are left with three basic dispensing systems. These are top pressure, electric and metered dispense." "I think the most important item will be the universal facility for serving beer cool whatever the weather. It just is not true that as a nation we like warm beer, and in a few years time it will have disappeared altogether." Thanks to the Brewery History Society latest newsletter for that. Tonight (Thursday) I will be making the presentation of the Greater London Pub of the Year award to The Trafalgar in South Wimbledon at 8pm. The 2008/09 Cask Ale Report was launched on Monday and I was lucky enough to attend the launch. I wasn't really deemed important enough to get an invite but I blagged one from the author who I met again at Beer Exposed. Various media folk together with the great and the good from the brewing community arrived early Monday evening at The Counting House (Fullers) on Cornhill. The top table was Pete Brown (author), Nigel McNally (Wells and Youngs), John Robert (Fullers), Paul Nunny (Cask Marque), Mike Benner (CAMRA) and Julian Grocock (SIBA). The report now has its own web-site so you can read the headlines and the detail here. Described as the definitive guide to the cask ale market, the report brings bullish news on the state of the real ale market and is aimed at the pub trade - to encourage pubs to stock real ale and the media - to encourage awareness. The evening was a great opportunity to network with the most influential people of the industry. After a couple of pints at The Counting House the boys from Greene King and Youngs wanted to get in on the act and we were taken to the New Moon (GK) and the Lamb (Youngs) on Leadenhall Market. The best pint of the evening ? The IPA in the New Moon !